Some time ago I wrote my recipe for Homemade Shampoo Made With Jojoba Oil and at the time I got a lot of questions about conditioners. This weekend I found myself out of conditioner and finally remembered I needed to sit and write this post. To tell the truth, I’m not very picky when it comes to a natural shampoo. For me, it’s much more important to have a good conditioner. Just about any shampoo will create a buildup on the hair shaft – even the good stuff. If you have a buildup of soap and oil and then you “set it in” with a commercially made conditioner you’re likely to wind up with a big mess. For a few years now, the only conditioner I’ve used is an infused apple cider vinegar rinse. Many people use straight apple cider vinegar, and I would be ok with that in a pinch, but it’s fun to be creative! If you infuse a selection of herbs into your vinegar you’ve got something extra special. 1. It is a pH balancer for both the hair and the scalp. 2. It is antibacterial and anti-fungal. This means a lot of great things for our appearance. It can mean better hair growth, and keeping hair follicles healthy and functional. 3. It keeps the skin balanced which helps fight the dry skin of dandruff. 4. 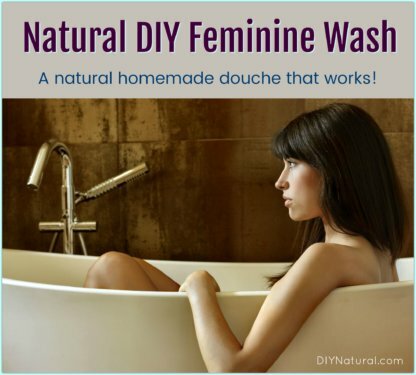 It acts as a natural de-tangler. I can certainly attest to this as I have lots of really fine hair that tangles if someone breathes near it. Apple cider vinegar is a life saver for me! 5. It removes soap and oil build-up from the hair without stripping it. This leaves your hair shiny and silky and as a bonus, your hair can go longer between washes! Add herbs to a quart jar, and fill jar to the top with warm apple cider vinegar. Note: If you have dry hair you might try adding marshmallow (Althaea officinalis) and if you have oily hair you might like to add sage (Salvia officinalis). Cover with a plastic lid and leave out of direct sunlight for at least two weeks. Shake often. At the end of the two weeks, strain out the herbs and re-bottle your conditioner for the shower. I leave it in a mason jar, but you may like to put this into a plastic container for shower safety. To use this rinse I have a cup in my shower. I add anywhere from 2 tablespoons to ¼ cup of vinegar to the cup and fill up the rest of the way with water. Pour over your hair and then rinse out. This evening I’m going to strain my latest batch of conditioner. I’ve had to use a commercial preparation and my hair simply hasn’t looked its best for the past week! Don’t have the time to infuse your vinegar? Mix up this Homemade Conditioner in just seconds! Don’t want to make your own? 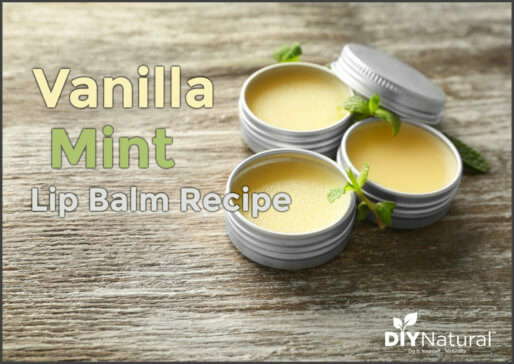 DIY Natural has used and recommends this natural line of conditioners. Need a deep conditioning treatment? Check out several Homemade Hair Masks for Dry or Damaged Hair that are simple and natural. I noticed that 3 of the herbs are available in powder form. Would you recommend using them instead of the dried plants? If so, how much powder would you use? I keep a spay bottle of ACV in the shower. After rinsing from shampoo I spray ACV on my gray, frizzy hair and viola, no more frizz! No need to buy expensive no frizz products. Hair is shiny and manageable. Do you add any water to the ACV when you spray it in your hair? After spraying, do you leave it in? 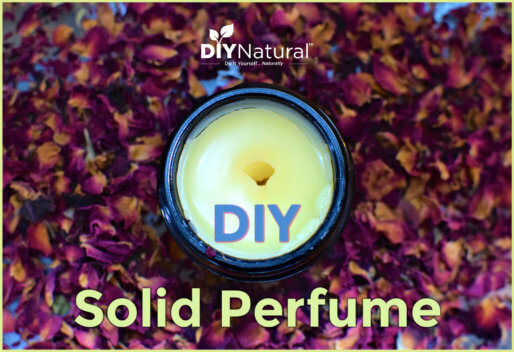 I think essential oil would work perfectly – it is simply a concentration of the effective parts of the plant and it wouldn’t need to be brewed, just added to water. But make sure it’s a true ‘essential oil’ as some on the market are not – I use doTerra oils. For this rinse, I use the plant from my garden, cutting off the longer stems and hacking them to pieces into a pot and then pouring boiling water over them. The house smells fantastic while it’s brewing. Any of the herbs you use in the rinse could be used this same way, stems and leaves. Do you have to use rosemary leaves or can you use rosemary essential oil? I would use the leaves if you’ve got them. There is so much more to the plant than can be captured in the essential oil which only gathers one component. If you can’t find the leaves, you could settle for just the oil. Are all the herbs that are being used from the plant leaves? I have several of them in my yard but don’t know which part of the plant is most beneficial to use with this rinse. Thanks! Nope. The rose petals and the calendula are flowers. 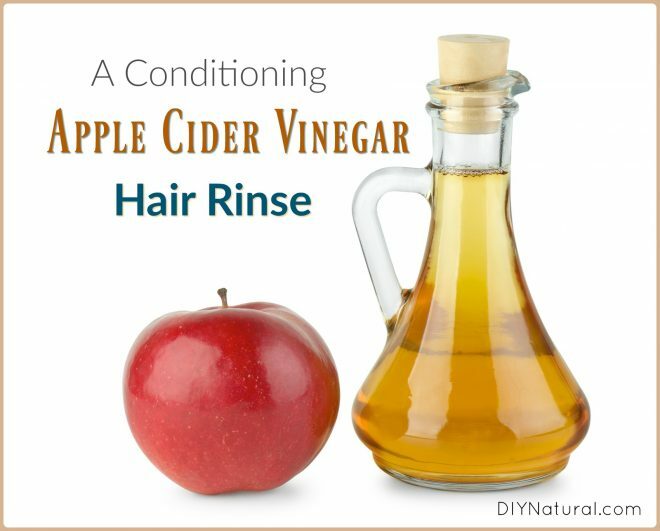 I’ve been using ACV as a conditioning rinse for a few years; my hair and I both LOVE it! It’s made a huge difference in the health and appearance of my naturally curly, fine and fragile hair. I also find it detangles, which I didn’t expect it to do, to be honest! I normally only wash my hair once or twice a week… it seems the longer I let it go, the happier my hair is (within reason, of course). I do have a question about using an ACV rinse though. Recently I began to help care for a sick neighbor’s dog. Unfortunately, the dog’s owner pretty much chain smokes, and I am extremely sensitive to smells. I have to go over to this house twice a day to care for the dog, so my hair absorbs the cigarette smoke smell twice a day. I know that a good ACV rinse will get rid of the smoke smell in a heartbeat (and I also use a washcloth wet with diluted ACV to wipe off any exposed skin, it also makes a great facial toner!). If I rinse my delicate, fragile, thin, naturally curly hair twice a day with ACV, even if it’s diluted, will that harm my hair? I know it does wonderful things for my hair and skin, but would this be too much of a good thing and potentially dry it out or make it become brittle? I could end up caring for this dog for several months, so I’m looking for a long-term solution which won’t undo all the hard work I’ve put into finally growing healthy hair! Thank you so very much, my hair and I thank you!! Thank you, Margaret, I’ll try that! I got some rosemary herbs and essential oils at the health food store on Saturday (along with peppermint essential oil, peppermint tea, aloe juice and a new spray bottle) and I’ve been tinkering with it all. So far VERY diluted ACV seems to be very best with a few drops of both essential oils. I’m still playing around, but this thread has given me a lot of great ideas! Thank you! And thanks, I feel sorry for the dog too, but she’s about 15 and her owner has smoked like this her whole life, so I don’t think there’s much hope of convincing her owner the smoke is bad for her. She seems pretty happy despite it though! A sprinkle of lime juice or lemon juice. It rinses out to soap, leaves my hair soft, shiny, detangled, and smelling nice. I do use homemade acv to rinse my hair but I never thought of using the other herbs with it. I also made a rinse with rosemary tea – I read about that in a book about life in the 1600’s – because it apparently makes hair grow better and faster. My hairdresser noticed a huge difference. In the morning or when I need a quick fix-up, I sprinkle some on my hair and comb it through, leaving it to dry. ..just a simple tea made from rosemary from the garden. Do you mix the rosemary tea with the ACV? I have had hair coming out in clumps and have been using Nioxin to help with growth. It helps a little but I don’t like the chemicals. I have curly wavy hair. Hi Mary Kay, I use the ACV while I’m in the shower, when I rinse my hair. Then, after I’ve towel-dried my hair, I sprinkle in some rosemary tea, massage it into my scalp for a few seconds and comb it through – I leave it in. In the morning, when I have that bedhead look, I comb some tea through it again and leave it. I’m so pleased with the results that I am, this very minute, making some more tea to take, along with some ACV, to my friend who has that ‘aging thinness’ to her hair and I want to see if she’ll have the same results as me. My hair is so fluffy and full, I can hardly believe it. I wish I had started this when I was younger. Mine gets cold too, which is a total bummer! I find setting the plastic bottle in a sink of hot water for a couple of minutes before my shower takes the chill out of the rinse. I hope this helps you! I keep full-strength ACV in a bottle in the bathtub and, when it’s time to rinse my hair, I put some into a plastic cup and fill it up with shower-hot water…..end of the cold blast on my head. Though that is probably good for me, too. I love using ACV for my hair rinses for a couple of years now! I was so excited to read this from you to get another idea for my hair rinses! I did not know I could infuse ACV and now I’m so excited to do this! The rinse I used was 50/50 water to vinegar and then a few drops each of lavender and rosemary! Thank you for sharing this with us! I do use a vinegar rinse but I mix the water in with the vinegar in a spray bottle. I add rosemary and thyme and leave in bottle. Is this safe on colored hair, or will it strip some of the color? Thanks!